Cleveland firefighters battled a massive blaze in Little Italy near University Circle, which caused smoke to be seen throughout the city. 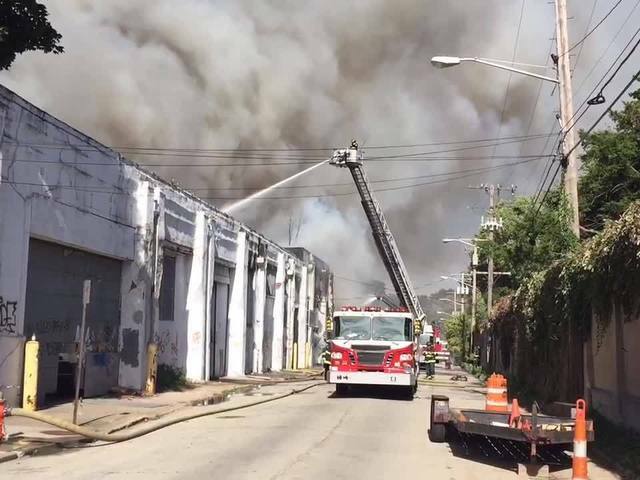 The fire broke out at the warehouse located on East 123rd Street at about 10:30 a.m. on Sunday. Cleveland Fire Department spokesperson Larry Gray said one firefighter was injured while battling the fire and was taken to MetroHealth with what is believed to be smoke inhalation. Crews spent hours fighting the fire. Apartment buildings adjacent to warehouse had to be evacuated due to the massive amount of heat, according to Gray. Crews also blocked off roads surrounding the building. Gray said officials believe the warehouse has been closed for five to six years and the name on the building is "Woodhill Supply." There was plenty of graffiti on the inside of the building, leading officials to believe it was a common hang out place. The fire department is urging residents to call them when they see people entering vacant buildings or if they believe a vacant building poses a possible fire hazard. 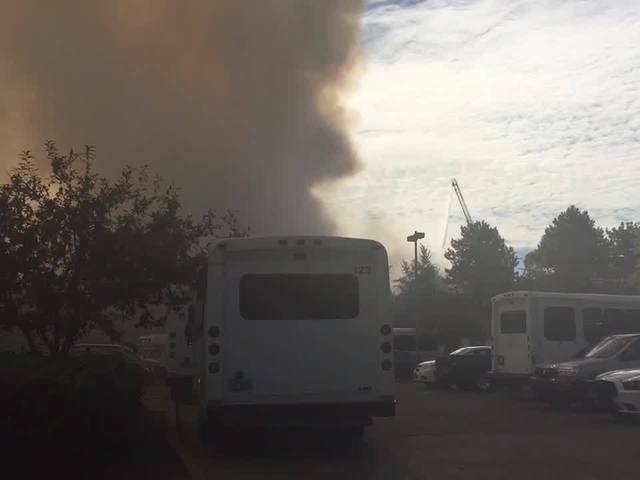 Cleveland crews have been busy this week fighting several fires, but it's something Gray said the department prepares for as they typically see an increase in fires during the transition from summer to fall.